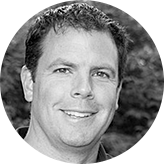 Mike Fitzgerald is a Founding Partner at High Alpha, a venture studio that conceives, launches, and scales enterprise software companies. Mike is a seasoned entrepreneur specializing in acquisitions, spinoffs, and startups; he enjoys ushering companies through times of change. His spirit for startups was fueled from his time at Roche Diagnostics, where he was responsible for creating wholly owned startup companies within Roche, serving as an entrepreneur within the confines of a large corporation. Following Roche, Mike served as President of RICS Software and Oxygen Education, both Indianapolis based software companies. Mike went on to co-found software companies TinderBox, Lesson.ly and Visible as well as Gravity Ventures, a member managed venture firm. Prior to co-founding High Alpha, Mike spent five years as Executive Vice President of Corporate Development for ExactTarget, leading the company’s international expansion and several strategic acquisitions through the IPO in 2012 and the sale of the company to Salesforce.com (NYSE: CRM) in 2013. In addition to serving on the Board for Orr Fellowship, Mike serves on the board of directors for Tinderbox, RICS Software, Lesson.ly, Visible and The Young Actors Theatre. Originally from St. Louis, Mike ventured to Ohio for his undergrad and received a his degree in Communications from Miami University. Despite his tendency toward driving change, he plans to always call Indianapolis home.